SMART Event Marketing Specialists helps you transform a name into a brand! When we want to build and promote a brand, we must ensure that all its elements are similar to those that constitute our target audience and both the loyal and potential customers recognize the brand from a single glance. If this does not happen, there is something that does not work properly and can affect the brand imageor organization. It is important to convey the brand message in all possible shapes and sizes. It is also known that most people tend to respond favorably toward the auditory visual communication, which is why it is used with greater frequency to complement the verbal message and has a greater impact. What is actually visual identity? 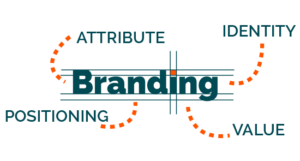 A system of elements such as logo, slogan, logo design through color, font, symbol, clothing (gowns, uniforms), personalized documents (paper it is written, folders, pens, letterhead), newsletter, vechicule, buildings and other visual elements that have the leading role recognition of an organization or brand and constitutes an essential part of the communication strategy. The visual identity can convey a lot in a very short time which is why we give maximum attention must.